The Switch is official. WorldCast Anglers and Kevin Emery team up for the 2012 guiding season. I am super psyched to be joining the WorldCast Anglers team here in Victor, ID for the 2012 Guiding season. 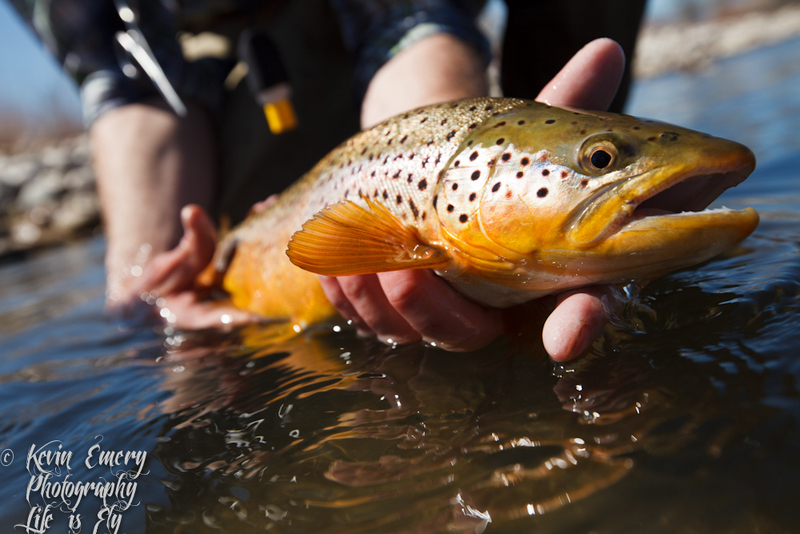 Please note that I am no longer accepting bookings at Snake River Angler in Jackson, Wy or The Lodge at Palisades Creek in Irwin, ID. Be sure to Book your trips at WCA early, as we are predicting a stellar season with great water and might actually have a Salmon fly hatch this year on the South Fork. Why the switch? There are many personal reasons, but really it was to provide my fishing friends/clients more opportunities to be guided on the most sought after waters in the Northern Rocky Mountains. WorldCast is the largest outfitter in the area with the greatest number of permits. In Western WY, WCA is permitted on the Snake, Green, Salt, and New Fork River as well as Yellowstone Lake, Lewis Lake and streams in Yellowstone NP. In Eastern Idaho, WCA is permitted on the South Fork Snake, Henry's Fork and Teton River, as well as private waters in the Teton Backcountry and Teton Springs in Victor. However, one of my personal favorites is chasing huge carp on the fly at Blackfoot Reservoir, where we are also permitted. I hope to see you on the water!